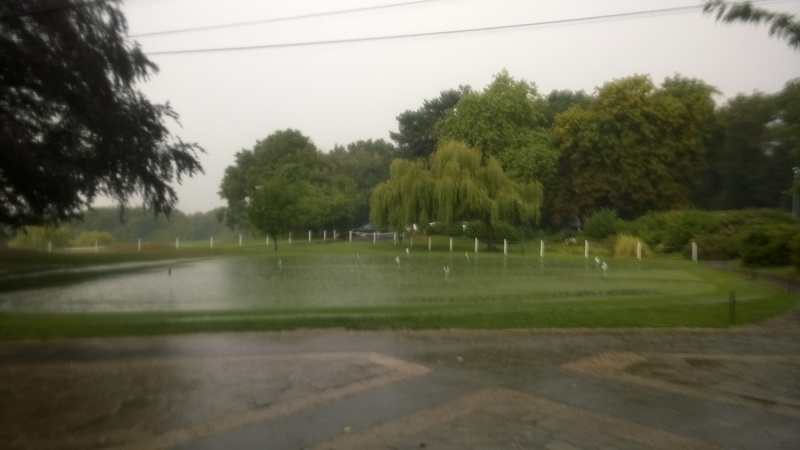 Unfortunately yesterday’s storm began at the start of the Past Captains Competition with 2 groups getting soaked during 19mm of rain in 40 minutes some finished their rounds while others stayed in the bar. 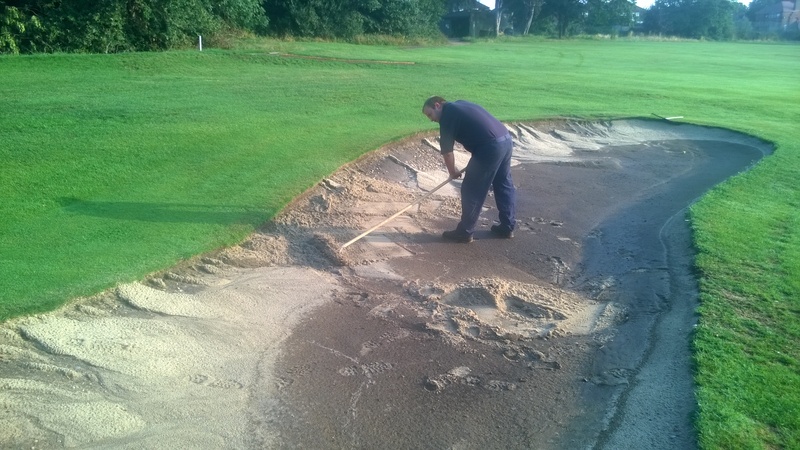 So this morning we called in extra staff for help with the washed down bunkers so the Home Guard Cup could be played. Needle tining greens today and tomorrow as this operation was cancelled when we topdressed a few weeks ago due to the disruption and hot weather so close to the Club Championships. 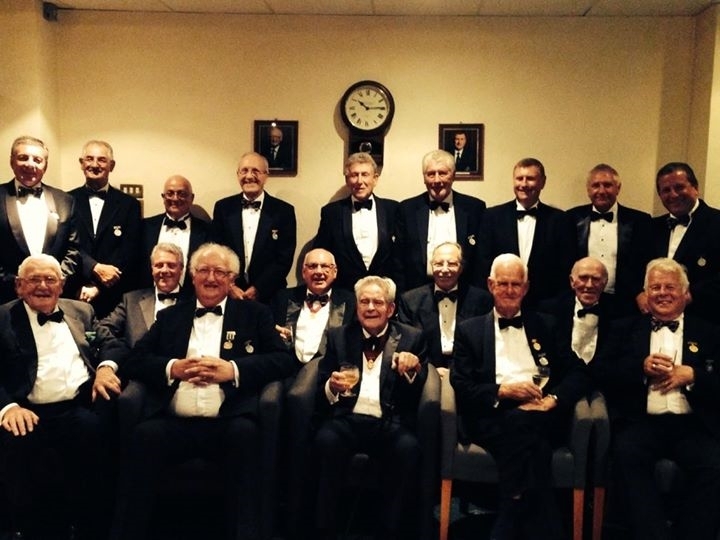 The greens will be back to normal by the end of the week. We will be taking this opportunity to spray the compost tea brew after we have needle tined so the fungi/bacteria can penetrate the soil and reduce the superficial fairy ring activity we currently have.